The first course in our Walking on Water series had a double aim: to give people basic information about the Gospels and show them how every Christian has to take responsibility for his/her own part of the world. Christians are not allowed to be dumb ‘followers’ who obey the injunctions of their master without real, adult autonomy. To bring this point home, the video course presents the visions and teachings of Jesus Christ from an unusual perspective. Like all good teachers, Jesus taught principles and values, not ready-made solutions. He expected his disciples to use their own mind and take responsibility for their own decisions, so that each person’s own Galilee may become a truly just and peaceful part of the world. I decided to film the video narratives in Colombia with cooperation of El Minuto de Dios, a centre with experience in the radio apostolate and television. I toured the country. I received suggested story lines from a Colombian novelist. Based on those I eventually wrote the three 30-minute film scripts that would form the basis of the video: Jesus loves his people, Jesus’ liberating language and Jesus confronts political power. At the same time I also wrote the 208-page course book that contained the accompanying instruction on the gospels. The actual production of the video was under the capable supervision of my close friend and team member, Mill Hill Brother Hubert de By. He was present at the filming of the stories in Colombia. 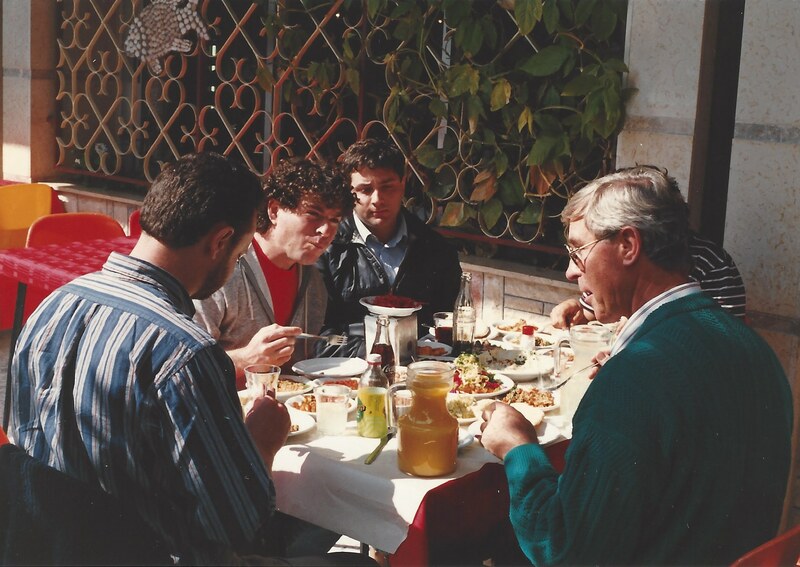 He travelled to Israel to oversee the filming of Palestinian scenes we needed for our instruction slots. 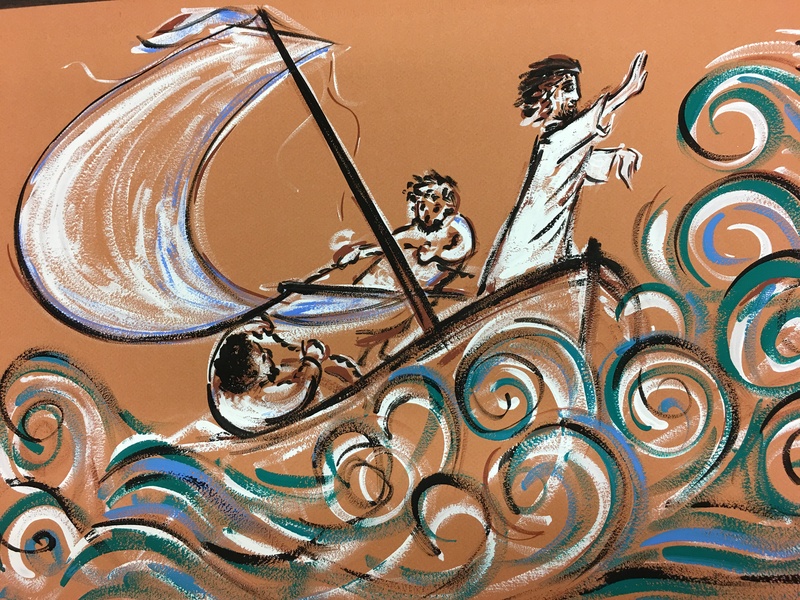 My faithful colleague Jackie Clackson contributed greatly by designing illustrations of gospel passages that would be acceptable all over the world. I will now briefly describe the contents of this three-part video course. It will not be difficult to see that Latin American liberation theology played a role in highlighting the major issues. The story on the video forcefully brings out the implications of assuming responsible leadership. Patricia, a country doctor in Colombia, is concerned about the welfare of labourers and landless farmers under her care. But she clashes with a ruthless landlord who wants to drive her out of the village. Should she leave her people, to escape a personal threat to her life? Or should she stay? Corresponding chapters in the course book illustrate that for Jesus, people are God’s priority. Galilee was the province of Palestine where Jesus grew up and where he exercised his early ministry. A reconstruction of the region at the time of Christ, and especially of Nazareth and Capernaum show how truly rural and ‘local’ they were. In the chapter on Capernaum, for instance, we consider the town where Jesus chose to live, probably because it was strategically located in Galilee. Archaeologists have discovered and excavated the town this century and have found that about a thousand people lived there, in similarly-built, simple, middle-class houses. The mystery of the Incarnation implies that God became human in Jesus Christ. Galilee was Jesus’ world. The Galileans were his people. In his love and concern for them Jesus set an example. All of us have our Galilee. The story on the video presents the dramatic experiences of Don Roberto, an author of textbooks for children. He discovers that his teaching can enslave – by endorsing existing power structures – or liberate – by helping people conquer their own situation. What shall it be? Our producer, Brother Hubert de Bij, discussing the next approach with the local film team. Meanwhile, in the course book we learn from Jesus that good teachers allow their pupils to think. Jesus spoke the colloquial Aramaic of Galilee. Snatches of that language have been recorded by the Gospels, most notably the cry of abandonment on the cross, “Eli Eli, lama sabachthani? – My God, My God, why have you forsaken me?” We always find Jesus’ Aramaic words as the point of origin of all the Gospels. But then we find the translation of these words by the evangelist into a Greek text with characteristic Greek ideas and expressions. Finally we have the formulation of Jesus’ message and its meaning in our own language. The message has to be translated. Jesus’ thinking was determined by the limits of the language of his own society. Yet, paradoxically, by speaking a limited language, Jesus gave his universal message an almost unlimited scope. The working out of what he said is our job, a job for each and every Christian, and all of us together in the Church. Jesus could not handle concepts developed in our languages, such as discrimination, human rights, trade unions, democracy, or even: Church, sacrament, contraceptives and confirmation. Where does that leave him as a teacher today? Bad teachers impart ready-made knowledge, good teachers make their pupils think creatively. As the best teacher of all time, Jesus enabled us to interpret the principles of the Gospel for our own day and age. Through the video we get to know a typical situation common at that time throughout Latin America. A group of slum dwellers is unjustly evicted from their homes to enable rich landlords to invest in a new major urban development. Attempts to argue with the owners or with corrupt municipality officials fail. What is our next step? Should we side with Carlos who believes in prayer and peaceful demonstration, or with Rafael who prepares for bloody conflict? Jesus calms the storm on the Lake of Galilee. illustration by Jackie Clackson. The course book reflects on Jesus’ attitude to social welfare. According to Jesus, God’s Kingdom has come to establish justice, truth and love. We study the economic and political situation in Jesus’ Galilee. Most of the land was in the hands of a small, wealthy elite of landowners. The Romans exercised military control and imposed heavy taxes. Jesus deplored the fact that money dominated everything. He saw it as the root cause of the social disorder. He pointed time and again at higher values and priorities. Jesus preached the coming of his Father’s Kingdom, a kingdom of justice, truth and love. One of the main means of establishing that Kingdom was his principle of ‘the overflowing measure’: giving generously; forgiving rather than taking revenge; loving even one’s enemies; overcoming evil by doing good. It has great implications for our present-day involvement in politics and social justice. We have to fight for liberation, but, if at all possible, with non-violent means. And the greatest example of Jesus’ non-violent approach is his own passion and death. Jesus saw himself as the non-violent, suffering Servant of Yahweh. My Galilee My People was eventually co-produced in the following languages and countries: Chinese (Taiwan, Hongkong, Singapore), Danish, Dutch (Belgium and the Netherlands), English (Australia, Ireland, New Zealand, UK, USA), French (Belgium and Canada), Finnish, Malay (Indonesia, Malaysia), Japanese, Korean, Polish, Portuguese (Brazil and Portugal) and Spanish (Central and South America, USA). In North India, a Jesuit production centre made a thorough adaptation of it into Hindi. The three stories on the video were re-written and re-filmed in a new Indian setting. My Galilee My People received many good reviews. I reprint here one written by Dr Patricia Pinsent in the Catholic Women’s Journal Network, September 1991, p. 4. 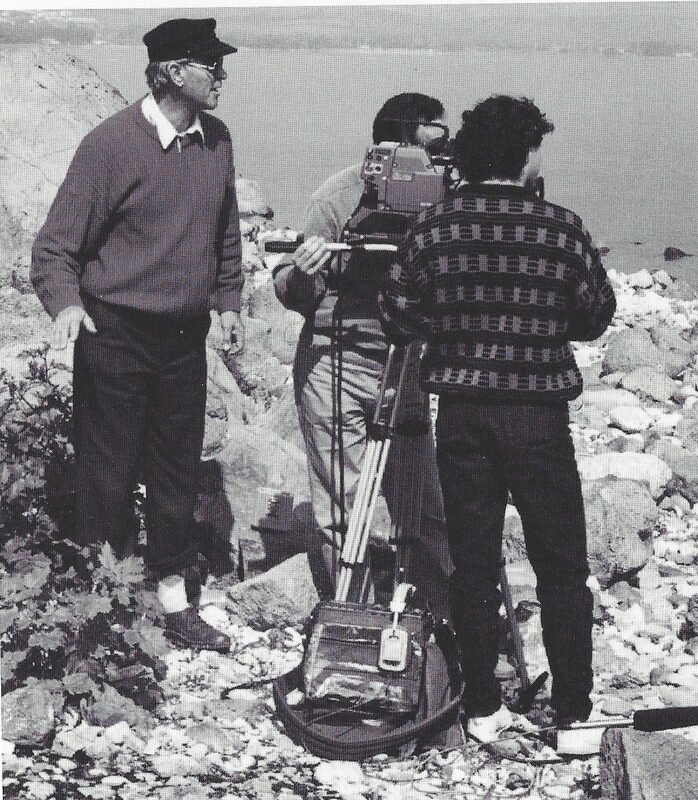 Brother Hubert directing the filming of scenes on the Lake of Galilee. “My Galilee My People is the first video course to be launched by John Wijngaards and his Housetop team in the WALKING ON WATER series. Walking on Water is an ambitious initiative to develop resources for scripture reflection: when complete, there will be seven videos, each filmed in a different country and accompanied by a background text, written by Fr Wijngaards, and a course guide. 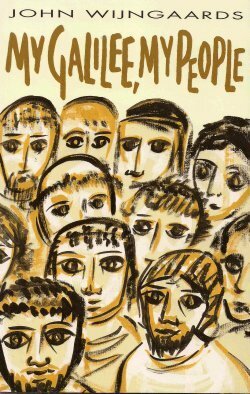 The course book, My Galilee My People, can be read online here: http://www.johnwijngaards.com/publications/galilee/galileecont.shtml .